MORE than 50 million people visit Italy every year. It is a stunning country, known for its food and wine, fashion, history, sports cars, football, lakes, scenery and climate. 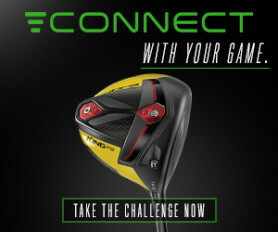 However, it is also fast becoming known as a destination for visiting golfers and with the likes of Francesco Molinari climbing the world rankings it is a growing sport in the country. I am a golf addict, as anybody who knows me will confirm. And it will surprise those people to hear me say that I enjoyed the "more" just as much as the golf. The courses were great, but it was the culture, the architecture, the views, the food and the wine that made this such a special trip. And the welcome from the locals was simply outstanding. Friuli Venezia Giulia is an autonomous region granted by special decree in 1963. To the northern border lies Austria, Slovenia is located to the east, the Adriatic to the south and the Vento region of Italy to the west. It is one of Italy's many wine regions, with 20,000 hectares of vineyards producing 80 million bottles of wine every year. The area is steeped in heritage and tradition having taken slices from neighbouring cultures and mixing them together into a smorgasbord of culinary and cultural delights. My Italian odyssey began with a flight from Stansted to Venice in the early evening. We arrived at Villa Pollicetti around 11pm. In the room was a plate of locally produced and world renowned San Danielle prosciutto ham with mozarella cheese and warm, locally baked bread. Seasoned to perfection and drizzled with local olive oil, it was a superb welcoming supper, washed down with a glass of local red wine. The hotel is a mix of 15th century and chic new design, with the cobbles and arches of the original villa having been converted into an intimate reception, bar and breakfast room. As the sun rose across the valley we were greeted by a fabulous view over vineyards and gardens of the finest quality. The outside patio area is beautiful and has a relaxed and comfortable ambience that matches the quality of the food and beverage on offer. Breakfast was a typically Italian affair with breads, fruit, yoghurts and a variety of cold cuts - the perfect way to start a golfing day. The first course of my trip was Golf Club Castle d'Aviano. The course opened in 1989 and has benefitted from substantial investment from the owners. Read the full feature review for Golf Club Castle d'Aviano here. We then moved to our overnight accommodation in the beautiful city of Udine, where we joined an organised tour of the city led by multi-lingual guides. It is sure to whet your appetite for a return visit. It is worth spending some time checking out the artwork that adorns the local churches and cathederal. This was a new experience for me and I have vowed to return to explore the city in greater depth than our busy itinerary allowed. If you are considering becoming a golfing gastronaut like me I would suggest that you factor in longer to savour the delights of the cities. Each could easily merit a couple of days in themselves. The second day of our trip was for me the highlight of the tour as a whole. Udine Golf Club is located on a hillside, offering incredible views over the valley towards the Dolomite mountain range. It is breathtaking and is located a stone's throw from the Villaverde Resort featuring spa and wellness rooms in a superb hotel. The Ryder Cup is being staged in Rome in 2022 and that is clearly having a beneficial effect on a sport that had previously been regarded as elitist in Italy, with increasing numbers of youngsters now getting involved in the golf, and many of them were being coached during my visit. My trip coincided with a European Seniors Tour pro-am, taking place at Udine Golf Club, featuring a field that included 10 former Ryder Cup players. To have the chance to play competitively with these golfers was an unforgettable experience. Our group played with Tim Thelen, a five-time winner on the Seniors Tour, who was a college teammate of Colin Montgomerie but spent most of his career as a club professional in the Houston area. We started at the 15th hole, a brutal par four measuring 382 yards, with trees encroaching the fairway to the right from 230 yards, a stream running down the left of the hole and a lake at 250 yards. I hit my drive into a ditch and when I found the ball in a playable lie I decided to have a go. I took a swing and as my club made impact with the ground I realised that I had been standing on damp mud - and found myself covered from head to toe in mud, moss and water! Tim was the only member of our group not to burst into fits of uncontrolled laughter. The 15th is the signature hole at Udine, but not for me! Read the full feature review for Udine Golf Club here. The next day we had an early departure for an overland trip to Tarvisio. 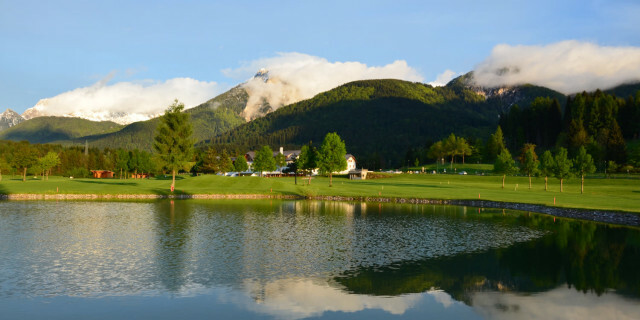 Golf Senza Confini Tarvisio is located in a mountain plateau 800 metres above sea level and as well as fantastic golf offers a real gastronomical treat with the vice-president of the club also being the resident chef. For five months of the year the course is closed as it is covered in snow and attracts skiers. After a relaxed lunch we were transported to Villa Russiz where we were given a guided tour of the vineyard and cellars including a wonderful wine tasting. If you consider undertaking this trip please ensure that you include this activity in your itinerary. It was wonderful to sample an array of fine wines with complimentary food. The cellar was a library of classical wines attracting global plaudits. Each vineyard has its own heritage and history that I found fascinating. As another unforeseen bonus they also sell direct to visitors in the shop/museum. 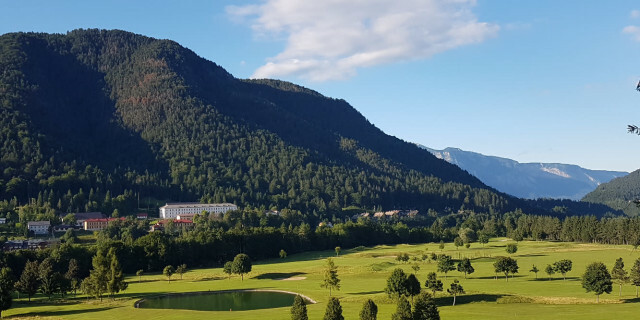 Read the full feature review for Golf Senza Confini Tarvisio here. For the evening we were transported to Trieste where we enjoyed another excellent guided tour of the city by foot. I would highly recommend these guided tours as a superb way to be introduced to the city and its delights. The final course on the trip was Trieste Golf Club and once again as well as playing a fantastic course the facilities and food were superb. Read the full feature review for Trieste Golf Club here. For anyone planning a European golf trip I couldn't recommend Italy highly enough and in particular this region. The golf, the experience, the facilities, the hospitality and the food were superb and you will be in for a treat and will certainly experience golf and more. For anyone looking for more insight than information providing from my visit check out the following video which includes videos of Grado, Castelloe de Spessa and Ligano golf clubs. We flew direct from Stanstead to Trevisio and toured the region by minbus. Our return flight was taken from Trieste Airport to Stanstead via Ryanair. There are direct flights to and from the Friuli Veneza Giulia region and Treviso many times through out the week from several UK airports. This was an emotional trip for me as my father had recently passed away, having been nursed by my family with support from our local hospice at home. He made me promise that I would honour my commitment to attend the trip despite his illness. On hearing of Dad's death, my son’s golf team at his American university bought a star they had named in his honour, Colin Picken BEM. He was awarded the British Empire Medal in the New Years Honours list 2016 for his voluntary work supporting the Royal British Legion Poppy appeal for 47 years. I thought of this wonderful gesture as I stood alone on the balcony of the hotel overlooking Udine Golf Club. As I looked up at the stars, I was overcome by emotion. It is a moment I will never forget. Donations from the proceeds for this article will be made to Treetops Hospice, Derbyshire in recognition for the wonderful support they provided to my family.